Rick Spear is an experienced tour guide based in San Francisco who specializes in private tours of destinations such as Monterey, Yosemite, Wine Country and of course San Francisco. He is an avid traveler himself and has visited six continents and lived on five of them. In this interview, we have asked him to share some of his extensive knowledge about the Napa and Sonoma Valley Wine Region located an hour north of San Francisco. How did you get started as a tour guide? I used to work for the federal government, managing children and refugee programs, but on the side I also lead tours as a docent with the National Park Service. In 2002 I wanted to make a career change, and since I so enjoyed leading the walking tours for the Park Service and I’ve always loved travelling, I decided tour guiding would be good. I’ve been a full time tour guide since 2003, and I get to meet people from all over the world, from every US State, and every continent except Antarctica—since the penguins never join my tours! Do you have any interesting stories from any of your tours? A couple booked a private wine country tour with me, and then a few days later the guy called me up and asked if there was anywhere nice to propose while on the tour. I suggested a very beautiful winery called Quintessa, at the top of a hill overlooking the vineyards. I called the winery and arranged it, and after the tour and tasting he told his soon-to-be-fiancee that he wanted to take another picture at the top of the hill—she came back down with a ring. 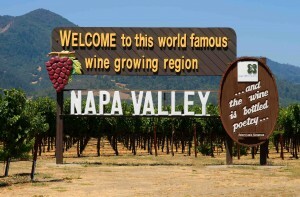 What are your favorite wineries in Napa and Sonoma? I usually tell people I don’t have a favorite winery. Different wineries work for different people. If you like white wine, I won’t take you to a winery specializing in cabernet. If you like palatial estates, I won’t take you to a “garage” winery. For me, wine tasting is not so much about the wine as it is about the experience. Pretty much everybody up there has good wine, but not everyone can offer good experiences. I prefer family owned vineyards. I visit Trefethen a lot, because they have nice, friendly staff, a beautiful building, and a good variety of wine including a good selection of both white and red wines. I like Domaine Carneros, because you can just sit out on their terrace overlooking their rolling vineyards while sipping some bubbly. For a really over-the-top experience, you can’t beat Hall Rutherford Winery—they have very special, very high-end wine, and the winery is on the property where the Halls live, which is unbelievable and just spectacularly beautiful. What’s the difference between Napa and Sonoma? Napa has more ego and more pretense. You find palaces in Napa, whereas you don’t find that as much in Sonoma. 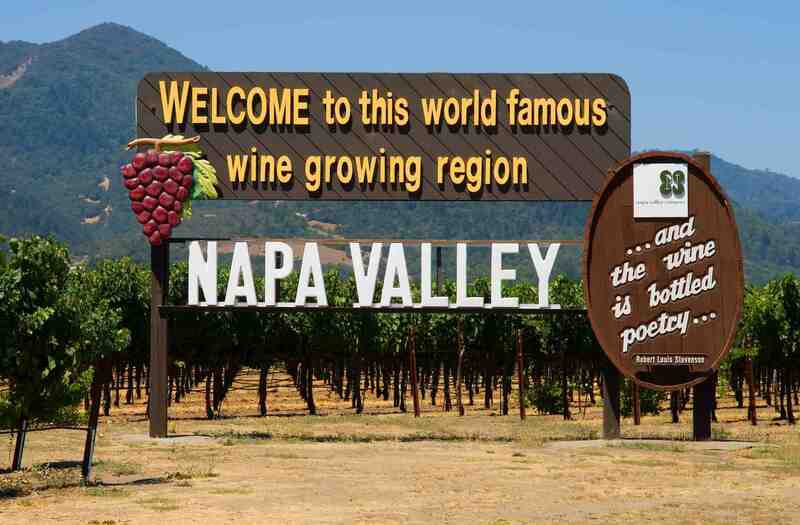 Napa is about cabernet, and when land sells for $225,000 per acre they need to sell their wines for a lot. If you want to have a gourmet meal at lunch, Napa is the place to go. Sonoma is more laid back, and is also much bigger. 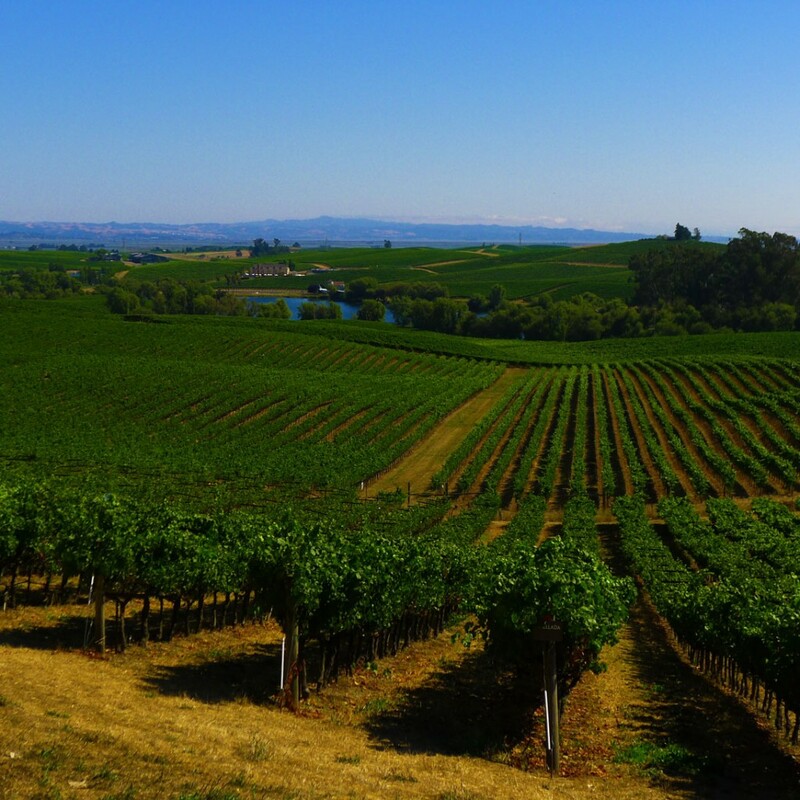 There is Sonoma Valley, but also there is Carneros, Russian River Valley, Dry Creek Valley, and Alexander Valley. So those different regions have different specialties. Russian River has good chardonnay, and there’s great Zinfandel in Dry Creek Valley. These areas are actually my favorite parts of Wine Country, because they have mostly family wineries, and are not as crowded—it’s not winery after winery. Where is the best place for gourmet dining in Wine Country? If you have the patience to get a reservation, everybody wants to go to the French Laundry—that is, everybody who wants to spend $290 per person for dinner not including wine. But it’s extremely difficult to get a reservation. I know of two tricks for getting in—one, is to stay up there and have the concierge book it for you—they often have more luck. Another trick is to go with ten people and get the private dining room. I really like Auberge de Soleil in Napa. The food is phenomenal, and the view is the best. Go when it’s light out—for lunch or dinner in the summer. For casual dining in Napa, Mustard’s is great for American food—they have the best onion rings ever. There’s also Cindy’s Backstreet Kitchen, the Farmstead up in St. Helena, and for Italian casual you have Bistro Don Giovanni. If you can’t get into French Laundry but you want ultra-gourmet, try Cyrus in Healdsburg. It’s easier to get into, and you won’t have to mortgage your house! In Healdsburg, I like Willi’s Seafood, Zin, and Bistro Ralph. In Sonoma, Sunflower Caffé is great for sandwiches and salads, with nice fresh good food, and you can sit out back in the garden. The Girl + the Fig has really good French influenced Californian food. What are some good activities for families in Wine Country? I usually tell families with kids to rethink it. Napa and Sonoma are not very kid friendly. But if you do want to bring your kids, you can do olive oil tasting. The best place is Round Pond Olive Mill in Rutherford. They have a 90 minute tour of the mill along with a tasting of oil and vinegar paired with bread. The most kid-friendly wineries are Sterling, which has a gondola or cable car that you ride up to the winery, and Castello di Amorosa because it’s basically a big castle. Over in Sonoma there is the Charles Schulz Museum, but you have to be a really big fan of the Peanuts cartoon to enjoy that. You can also visit Muir Woods in the morning and then Napa and Sonoma in the afternoon. Do you have any tips for getting the most out of your visit to Wine Country? Keep it reasonable. I get people who call me saying they want to do 7 wineries in a day. This isn’t the death march of wine tasting! Have fun, avoid Saturdays when it’s most crowded, and keep it reasonably paced so that you actually enjoy it! Try to include one or two wineries that are only open by appointment, because that means the crowds are limited. But also don’t make too many appointments, because you want to be flexible and not have to constantly be checking your watch. If you have done one winery tour—ever in your life—you are set. How many identical barrels of wine do you want to see? So I recommend doing one winery tour and just doing a tasting everywhere else. To book a private tour of Wine Country with Rick, check out California Tours’ San Francisco and Wine Country packages and then contact us with your dates of travel! For more information on Napa and Sonoma visit legendarynapavalley.com and sonomacounty.com. 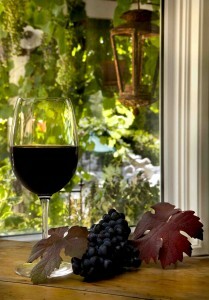 If you plan to be in Napa Valley to ring in 2012, take a look at suggestions for your midnight glass from The Cork Board! This entry was posted in California, Wine Country. Bookmark the permalink. Thanks for the restaurant suggestions. My husband and I love Girl and the Fig. The dinner room is very relaxed and we had a terrific, imaginative meal there.